SEOUL, South Korea (AP) — North Korea defied international warnings and fired a long-range rocket Wednesday, the second launch under its new leader and a clear sign Pyongyang is pushing forward with its quest to develop the technology needed to deliver a nuclear warhead. Pyongyang's state media quickly claimed that the country had successfully put a peaceful satellite into orbit with its long-range Unha-3 rocket — the North's stated goal of the launch. But South Korea and Japan said they couldn't immediately confirm that. 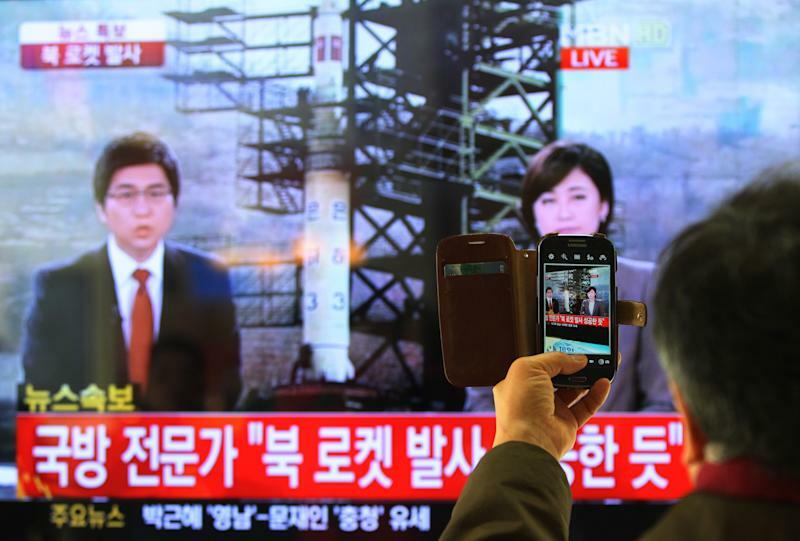 The launch was something of a surprise, as North Korea had indicated technical problems with the rocket and recently extended its launch window to Dec. 29. A rocket expert said North Korea's rocket appeared to have improved on an April launch, which broke apart shortly after liftoff, but that it might be a day before U.S. officials could determine whether a North Korean satellite was circling the Earth. The United Nations, Washington, Seoul and others see the launch as a cover for a test of technology for missiles that could be used to strike the United States. South Korean Defense Ministry spokesman Kim Min-seok told a nationally televised news conference that a South Korean Aegis-equipped destroyer detected the launch at 9:51 a.m., local time, and the first stage fell into the Yellow Sea about a minute later; the rocket then flew over a South Korean island near the border with North Korea a minute after that. The rocket was seen flying west of Okinawa at 9:58 a.m., and then disappeared from South Korean radars, Kim said. William Lewis, a spokesman for the U.S. North American Aerospace Defense Command, which tracks such launches, had no immediate information about the reported launch. Japan protested the launch and said one part of the rocket landed west of the Korean Peninsula and another part was expected to have landed east of the Philippines. South Korean President Lee Myung-bak planned an emergency national security council meeting Wednesday, and South Korean Foreign Minister Kim Sung-hwan warned that North Korea will face grave consequences. Japan's Foreign Ministry said Tokyo immediately requested consultations on the launch within the U.N. Security Council. Jonathan McDowell of the Harvard-Smithsonian Center for Astrophysics said officials would likely have to wait a day or so to see if the United States can track anything that might have been placed in orbit by North Korea. Success would be defined as "something that completes at least one orbit of the earth," he said. But "clearly this is much more successful than their last attempt. It's at least as good as they've ever done. They've proved the basic design of it." North Korean leader Kim Jong Un took power after his father Kim Jong Il died on Dec. 17 last year, and the launch also comes less than a week before presidential elections in South Korea and about a month before President Barack Obama is inaugurated for his second term. A similar launch in April broke apart shortly after liftoff, and the condemnation that attempt received is likely to be repeated. Washington sees the launch as a cover for a test of technology for missiles that could be used to strike the United States. Rocket tests are seen as crucial to advancing North Korea's nuclear weapons ambitions. North Korea is thought to have only a handful of rudimentary nuclear bombs. But Pyongyang is not yet believed capable of building warheads small enough to mount on a missile that could threaten the United States. North Korea has spent decades trying to perfect a multistage, long-range rocket. Experts say that ballistic missiles and rockets in satellite launches share similar bodies, engines and other technology. This is the fifth attempt at a long-range launch since 1998, when Pyongyang sent a rocket hurtling over Japan. Previous launches of three-stage rockets weren't considered successful. Washington sees North Korea's pursuit of nuclear weapons and ballistic missiles as a threat to world security and to its Asian allies, Japan and South Korea. North Korea under new leader Kim has pledged to bolster its nuclear arsenal unless Washington scraps what Pyongyang calls a hostile policy. The launches Wednesday and in April came from a site on the west coast, in the village of Tongchang-ri, about 35 miles (56 kilometers) from the Chinese border city of Dandong, across the Yalu River from North Korea. The site is 45 miles (70 kilometers) from the North's main Yongbyon nuclear complex, and is said to have better roads and facilities than previous sites and to allow a southerly flight path meant to keep the rocket from flying over other countries. Tensions are high between the rival Koreas. The Korean Peninsula remains technically at war, as the 1950-53 conflict ended in a truce, and Washington stations nearly 30,000 troops in South Korea as a buttress against any North Korean aggression. Tens of thousands more are in nearby Japan. This year is the centennial of the birth of national founder Kim Il Sung, the grandfather of Kim Jong Un. According to North Korean propaganda, 2012 is meant to put the North on a path toward a "strong, prosperous and great nation." The launch also follows South Korea's recent cancellation, because of technical problems, of an attempt to launch its first satellite from its own territory. Two previous attempts in 2009 and 2010 failed. International condemnation is likely to follow quickly. The U.N. Security Council has imposed two rounds of sanctions on North Korea following its nuclear tests, and a 2009 resolution orders the North not to conduct any launch using ballistic missile technology. The council condemned a failed North Korean launch in April and ordered seizure of assets of three North Korean state companies linked to financing, exporting and procuring weapons and missile technology. Under Security Council resolutions, nations are also barred from buying or selling weapons with North Korea, a key source of revenue for its authoritarian government. North Korea has capable short- and medium-range missiles, but long-range launches in 1998, 2006, 2009 and in April of this year ended in failure. North Korea is believed to have enough weaponized plutonium for at least half a dozen bombs, according to U.S. experts. In 2010 it revealed a uranium enrichment program that could provide a second source of material for nuclear weapons. A February deal for the United States to provide 240,000 metric tons of food aid in exchange for a freeze in nuclear and missile activities collapsed after the North's April launch. 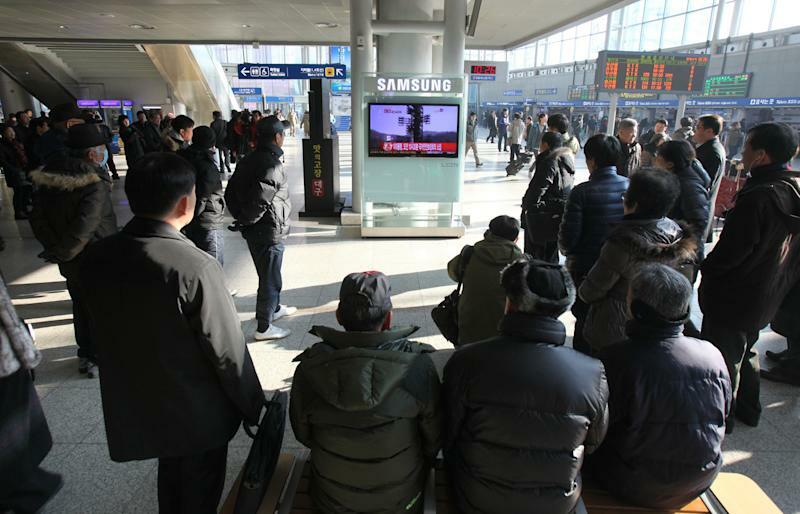 North Korea said it chose a safe flight path so debris won't endanger neighboring countries. Government spokesman Osamu Fujimura said Wednesday that no debris hit Japanese territory. AP writer Peter Enav contributed to this report from Taipei, Taiwan.